Helping you find holiday villas and properties of your dreams. Private owned Villas in Bali are available for short and long term rental and are well know as good alternative to hotel accommodation considering the space, the facilities and amenities offered. A villa in Bali is your dream came true!! 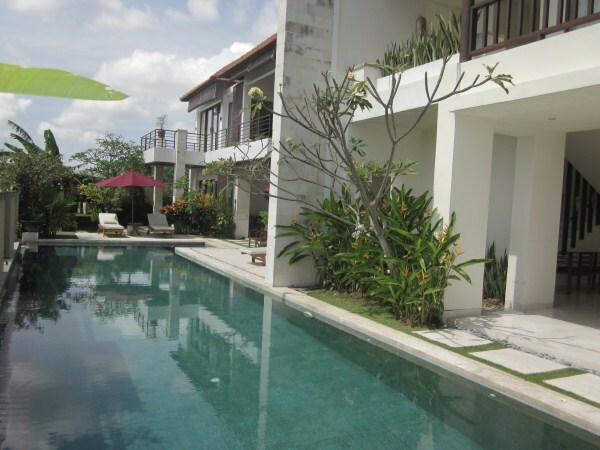 “Bali Villa Rental” is a Bali based company since 2008. Let us tailor you exclusive holiday villa, we will arrange transfers, tours, cruises, diving, special events and weddings! 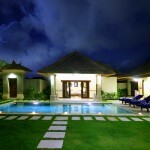 Each private property is settled in lush tropical garden and managed by professional and well trained staff. Enjoy the private services of villa’s life such as private swimming pool, cook service for excellent in house dining, van/driver and the assistance of our guides during your stay. 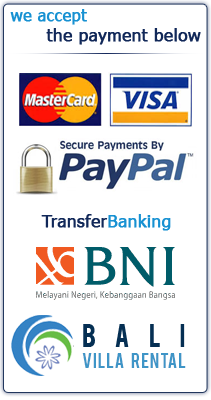 Discover How to rent a villa in Bali Island ! A wide selection of exclusive properties suitable for friends, families, honeymooners or anyone looking for the perfect accommodation in Bali! ..
Villa Cassa Mia is located 100 meters from the famous Jimbaran sandy Beach and 15 minutes from Ngurah Rai Bali’s International airport. From the entrance gate, a secret path is leading to the open space living area featuring a bar, a pool table, very comfortable sofa and armchairs, and a well-equipped open kitchen along with the 18 guest’s wooden dining table next to it. The living area is overlooking the garden and the generous swimming pool including a shallow pool surrounded by a wood deck equipped of lounge chairs. The extravaganza, a brand new and arguably one of the most beautiful, fully-appointed five bedrooms private rental villas in canggu Bali with breathtaking views of volcano range and distant rice field on a small village canggu know as "Perela". Villa Perela Canggu is located just minute from Canggu Club ,the best sporting facilities in Bali catering, 35 minute from international airport, and 15 minutes from fashionable Seminyak district where sweeping beach, vibrant night scene, world-class restaurants and chic boutiques. Located in Jalan Drupadi, Villa An Tan is just a short walk from the beach and from the restaurants and nightlife of Seminyak, an area well known for its shop and galleries. On entering the villa, guests will discover the magic of the Island of the Gods in the landscaped garden and living area which is modeled on a traditional Balinese compound. 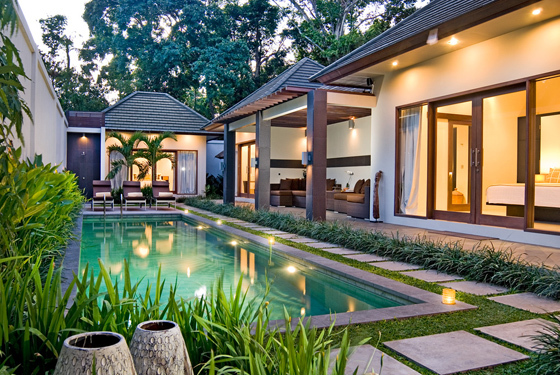 A stay at Villa An Tan is the perfect choice for a family trip or a getaway amongst friends. Villa Jajaliluna is a hidden paradise within the vibrant and upmarket neighborhood of Seminyak, on Bali’s south-west coast. Just a stone’s throw from the beach and a multitude of fine restaurants and bars, this four-bedroom villa is the ultimate location for those wanting to be close to the action but also seeking a quiet place to chill out and relax. Is a single-storey, three-bedroom villa, complete with a 12 x 3 metre lap pool, hidden in the heart of the Petitenget area on Bali's south-western coast. The villa is comprised of two buildings and a relaxation pavilion set within a compact walled garden planted with heliconia and palms. 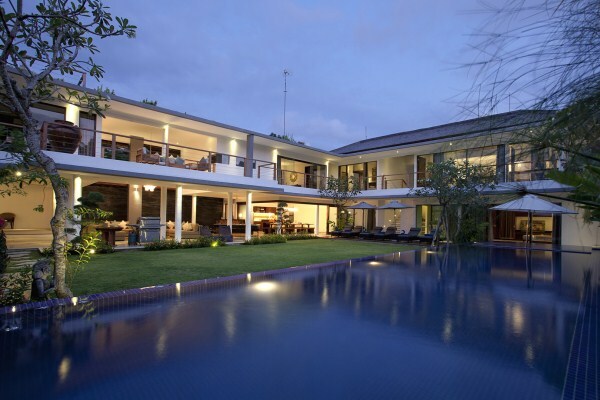 Villa Staman is a delightfully comfortable Bali private villa in the Seminyak circle. 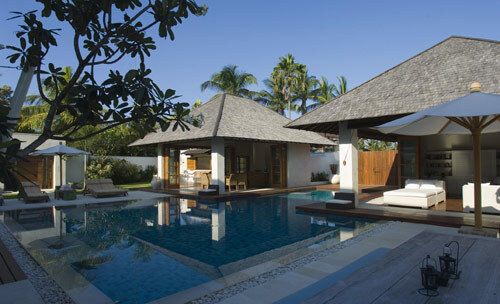 It is located within walking distance of the beach nearby and next to the famous Oberoi hotel and Ku De Ta beach club. Villa Staman has a spacious relaxing area with sofas, bar, kitchen and an 8 seat dinning table leading into the large master bedroom with its own private garden. Villa Alam located on a secluded lane off Jalan Drupadi, just close to three main road which, more appropriately known as Eat Street due to the wide range of restaurants and cafes that are to be found here. The same street is also home to designer boutiques. The beach and the popular Ku De Ta, La Luciola and The Living Room all just a few minutes drive to laksmana street or oberoi complex. Villa Ke Bali occupies a quiet lane off Jalan Drupadi, just a short walk from Jalan Laksmana known as Eat Street due to its wide range of restaurants and cafes. Eat Street is also home to designer boutiques and spas and the beach and venues such as Ku De Ta, La Lucciola and The Living Room can all be found nearby. Villa Maple is a smart three bedroom retreat that takes Balinese design to the next level through clean lines and minimal detailing. It has been created with comfort in mind for travellers to make the most of their time in the tropics. Located in petitenget, Oberoi seminyak, villa erick built as a five bedroom villa boutique retreat that can accommodate up 10 guests. Villa Erick has been created as a luxury home base for savvy travellers choosing to spend time on the enchanting island of Bali.